Munter – an unattractive or ugly person. "Endless repetition does not make something true." 1186 Henry VI, the son and heir of the Holy Roman Emperor Frederick I, married Constance of Sicily. 1343 Pope Clement VI issued the Bull Unigenitus. 1606 Gunpowder Plot: The trial of Guy Fawkes and other conspirators began, ending with their execution on January 31. 1695 Mustafa II became the Ottoman sultan on the death of Ahmed II. Mustafa ruled until his abdication in 1703. 1756 Wolfgang Amadeus Mozart, Austrian composer was born (d. 1791). 1785 The University of Georgia was founded, the first public university in the United States. 1825 The U.S. Congress approved Indian Territory clearing the way for forced relocation of the Eastern Indians on the “Trail of Tears“. 1832 Lewis Carroll, English author, was born (d. 1898). 1888 The National Geographic Society was founded in Washington, D.C..
1908 William Randolph Hearst, Jr., American newspaper magnate, was born (d. 1993). 1921 Donna Reed, American actress, was born (d. 1986). 1933 Mohamed Al-Fayed, Egyptian billionaire businessman, was born. 1939 First flight of the Lockheed P-38 Lightning. 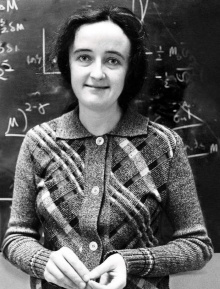 1941 Beatrice Tinsley, New Zealand astronomer and cosmologist , was born (d. 1981). 1944 Nick Mason, English drummer (Pink Floyd),was born. 1944 The 900-day Siege of Leningrad was lifted. 1945 – World War II: The Red Army liberated the Auschwitz-Birkenau concentration camp in Poland. 1951 Brian Downey, Irish musician (Thin Lizzy), was born. 1951 Nuclear testing at the Nevada Test Site began with a one-kiloton bomb dropped on Frenchman Flat. 1962 Peter Snell broke the world mile record on grass at Cook’s Garden, Wanganui, in a time of 3 mins 53.4 secs. 1967 Apollo 1 – Astronauts Gus Grissom, Edward White and Roger Chaffee were killed in a fire during a test of the spacecraft at the Kennedy Space Centre. 1967 – More than 60 nations signed the Outer Space Treaty banning nuclear weapons in space. 1968 Mike Patton, American singer (Faith No More), was born. 1973 Paris Peace Accords officially ended the Vietnam War. ColonelWilliam Nolde was killed in action becoming the conflict’s last recorded American combat casualty. 1974 The Brisbane River flooded causing the largest flood to affect Brisbane City in the 20th Century. 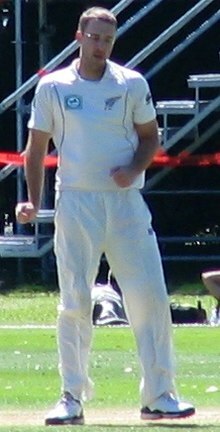 1979 Daniel Vettori, New Zealand cricketer, was born. 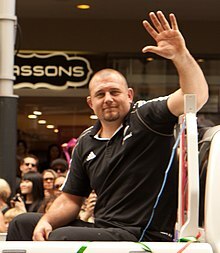 1981 Tony Woodcock, New Zealand rugby union player, was born. 1983 Pilot shaft of the Seikan Tunnel, the world’s longest sub-aqueous tunnel (53.85 km) between the Japanese islands of Honshū and Hokkaidō, broke through. 1984 Pop singer Michael Jackson suffered second and third degree burn on his scalp during the filming of a Pepsi commercial in the Shrine Auditorium. 1996 Colonel Ibrahim Baré Maïnassara deposed the first democratically elected president of Niger, Mahamane Ousmane, in a military coup. 1996 Germany first observed International Holocaust Remembrance Day. 2006 Western Union discontinued its Telegram and Commercial Messaging services. 2010 – The 2009 Honduran constitutional crisis ended when Porfirio Lobo Sosa became the new President. 2011 – Arab Spring: The Yemeni Revolution began as over 16,000 protestors demonstrate inSana’a. 2013 – 242 people died in a nightclub fire in the city of Santa Maria, Brazil. You are currently browsing the Homepaddock blog archives for the day Sunday, January 27th, 2019.